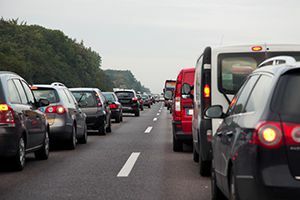 With more than 41 million Americans expected to travel 50 miles or more from their homes between July 1 and July 5, 2015, this could be the deadliest Fourth of July weekend we have seen in years. According to AAA, while these estimates include all modes of travel, a large number of families will travel to their destinations via car. Unfortunately, congested roads mean the potential for more deadly accidents. If you or someone you love is injured in an auto accident, our auto accident lawyers can help get you the justice you deserve. Call or text 1-800-706-3000 for a free consultation. To steer clear of danger, drivers and passengers are urged to wear their seatbelts, follow speed limits and avoid distracted driving. According to recently released data from the National Coalition for Safer Roads, there are more red light runners on summer holiday weekends than at any other time. According to research, nearly four million drivers ran a red light in 2014. Another area of concern during the holidays is drinking and driving. Officials say about 40 percent of the fatalities that occur over this holiday weekend can be attributed to intoxicated drivers. As a result, authorities will be out in force setting up sobriety checkpoints. If alcohol is a part of your celebration plans this weekend remember to use common sense and designate a driver if you are partying away from home. Experienced lawyers at the Phillips Law Group are well-versed in personal injury claims and auto accident litigation. Severe injuries in Phoenix occur due to car wrecks and drunk drivers during the time period around Independence Day. We can help you get the legal representation you need and deserve to be treated fairly after a car accident. Contact an injury attorney from the offices of the Phillips Law Group today for a free consultation to discuss your case. We can help you get the justice you deserve.